This is a pintxo which is part of the Basque identity. It is also delicious, it can be done in no time and it needs hardly any cooking skills to master it. If that wouldn’t be good enough, it’s also a great option if you happen to be on a diet. It’s Sunday noon in San Sebastián. The narrow streets of the old town are buzzing with friends and families who gather together to celebrate life while eating some pintxos. The offer is vast and the variety overwhelming. Hundreds of bars compete next door to each other for the most crafted presentations and the best quality bite-size food. 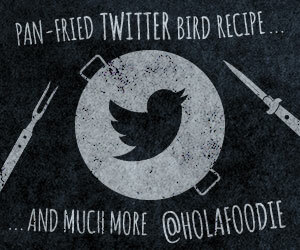 But despite all this fierce competition, there is one very simple recipe that locals will stump upon wherever they go. 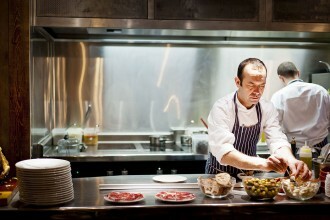 It’s called the ‘Gilda’ and it is to Basque pintxos what garlic is to the French. 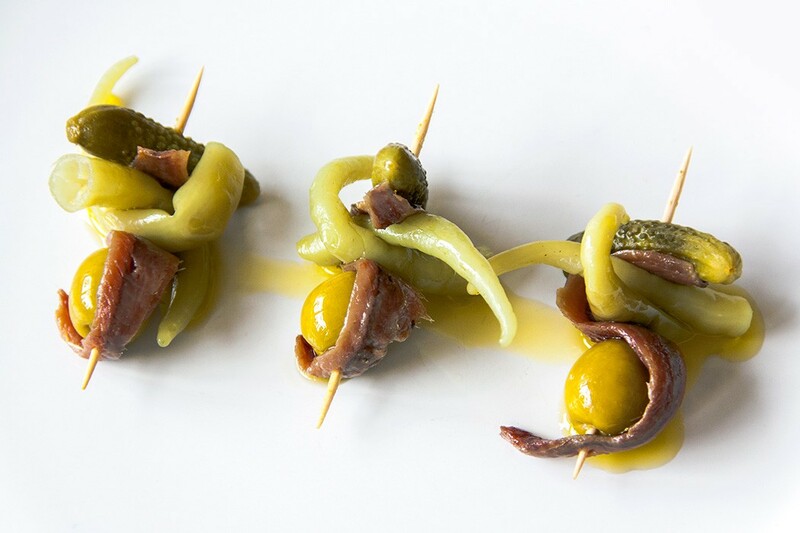 The ‘Gilda’ is a quintessentially Basque pintxo which was first created over 60 years ago in the Bar Casa Vallés, an old wine bar located in the Reyes Católicos street of San Sebastián. The legend has it that founder Blas Vallés would serve small plates of pickles to their regular customers, who would come to his bar looking for a ‘porrón’ of wine, a traditional Spanish glass wine jar with a long spout for drinking from. 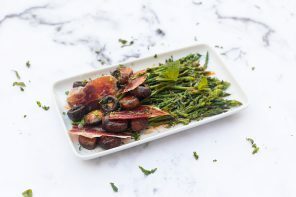 Together with the wine, Blas would usually bring some olives, gherkins, guindillas (Spanish pickled green chillies) and occasionally even some salted anchovy fillets. 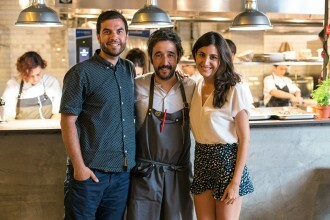 A regular customer called Joaquín Aramburu, better known in the neighbourhood as Txepetxa, is said to have started skewing the guindilla, the olive and the anchovy with a cocktail stick. Apparently, customers loved it and Blas began to serve it in the bar. The pintxo was named after Rita Hayworth’s character in the movie ‘Gilda’. The reason being that the pintxo was ‘verde, salado y picante’ (green, salty and spicy), which considering the secondary meaning of some of those words would translate as ‘little pervert, witty and spicy’. Pretty much like the character played by Rita Hayworth in that movie. 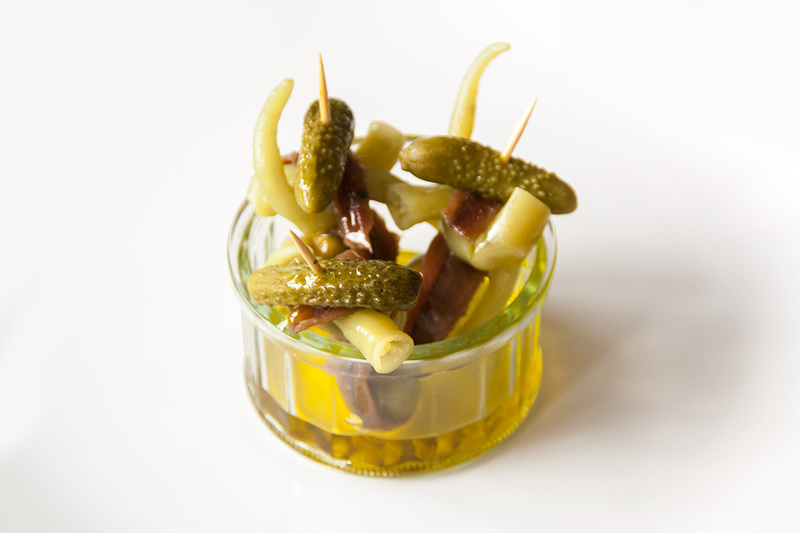 Today and for the last decades, the Gilda is the queen of what Spaniards call ‘banderillas’, a kind of hors d’oeuvre of pickles and olives skewered on a cocktail stick. Of course, being such a simple recipe, the quality of ingredients make a huge difference in here so if you decide to go for it, make sure you get the ingredients right! Buy Spanish guindillas here or here . 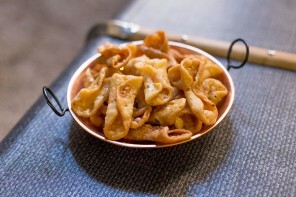 It’s a beautiful bite-size snack that will make you look good in front of your guests. It will take you around a minute to prepare one Gilda. It is a super healthy, low-calories snack. Drain the olives and the guindillas. Chop the guindilla stock. If they are too long, you can cut them in two. Start by skewering the pickle. Continue threading only one extreme of the anchovy fillet. Skewer two bits of guindilla. Thread the anchovy again so that it wraps the guindilla bits. Cap off the cocktail stick with the olive. 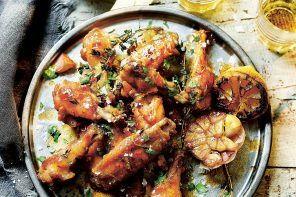 Dress with a generous amount of olive oil and serve.